Here is a list of our recently acquired genealogy publications. You can consult them in the Genealogy and Family History Room located on the 3rd floor at 395 Wellington Street in Ottawa. The link to the AMICUS record gives the call number you need to find the book on the shelves. Please note that CD-ROMs must be pre-ordered. If you’re just starting out in genealogy, you should check out our Genealogy and Family History section. Did your ancestors come from Hungary? Do you want to know who your first Hungarian ancestor was and when he or she left Hungary and arrived in Canada? Are you curious about your Hungarian origins? If so, our website is a great place to begin your research. Here you will find a page dedicated to genealogical research on the Hungarians. This page provides you with historical information, archival documents and published material from the Library and Archives Canada collection, as well as links to other websites and institutions. If your ancestor came to Canada between 1865 and 1935, you might find his or her name on the passenger lists. Question 1. My grandfather came to Canada between 1905 and 1914. How do I find his passenger list entry? First, search the name on one of the indexes available online. Try different spellings and birthdate variations if your initial search is not successful. If that doesn’t work, there are other documents that indicate the year of immigration. Try census returns or the 1940 National Registration File. If you know the city where your ancestor settled, you may be able to narrow down the year of immigration by seeing when they appear in a city directory. You can also try searching for other family members that came to Canada with him. Maybe the passenger list entry of his wife, “Esmerelda Jenkins”, might be easier to find than “John Jenkins” (names are for example only). Question 2. My mother said that we have aboriginal heritage somewhere in our family. How do I prove that? Complete your family tree. Don’t focus too much on finding the aboriginal link at this point. Pay close attention to information given on the census returns, especially the 1901 census. All census returns will indicate the location where your ancestor resided, such as the town, village, major city or federal Indian reserve. Some census returns list ethnic origin, such as French, Irish, Indian, “Half-Breed”, “Scotch-Breed”, Algonquin or Mohawk. They can also list colour (“W” for White and “R” for “Red”) and first language/mother tongue, which may help your search. Many of these terms are now considered offensive and are no longer in use today. Do not fixate on or limit yourself to modern terminology—your ancestor may have been identified under any number of labels depending on the period, location and circumstances. Question 3. My grandfather served in the Second World War, but never spoke about it. How do I find out what he did? Your first step in finding out details about your grandfather’s war experience is to apply to the Personnel Records Department for information from his file by filling out our Application for Military Service Information form. After you receive the available information from his Second World War service file, you can continue your research at regimental museums and by reading published regimental histories (some of which may be available in our library collection). If you have a question that you would like to ask us, please drop by the Genealogy desk at 395 Wellington Street, in Ottawa or email us using our Genealogy Assistance Request form. Do you have ancestors of Jewish heritage? Do you want to know who your first Jewish ancestor was and when he or she arrived in Canada? Are you curious about your Jewish origins? If so, our website is a great place to begin your research. Here you will find a page dedicated to genealogical research on Jewish heritage. This page provides you with historical information, archival documents and published material from the Library and Archives Canada collection, as well as links to other websites and institutions. The Research Guide to Holocaust-related Holdings at LAC can also help researchers find material relating to a broad range of events and decisions that took place before, during and after the Second World War. It catalogues the extensive Holocaust resources preserved at Library and Archives Canada, including rare books, personal accounts, government files and interviews. Do you have Doukhobor ancestors? Do you want to know who your first Doukhobor ancestor was and when he or she arrived in Canada? Are you curious about your Doukhobor origins? If so, our website is a great place to begin your research. Here you will find a page dedicated to genealogical research on the Doukhobors. This page provides you with historical information, archival documents and published material from the Library and Archives Canada collection, as well as links to other websites and institutions. Did your ancestors come from East India? Do you want to know who your first East Indian ancestor was and when he or she left East India and arrived in Canada? Are you curious about your East Indian origins? If so, our website is a great place to begin your research. Here you will find a page dedicated to genealogical research on the East Indians. This page provides you with historical information, archival documents and published material from the Library and Archives Canada collection, as well as links to other websites and institutions. Do you have Mennonite ancestors? Do you want to know who your first Mennonite ancestor was and when he or she arrived in Canada? Are you curious about your Mennonite origins? If so, our website is a great place to begin your research. Here you will find a page dedicated to genealogical research on the Mennonites. This page provides you with historical information, archival documents and published material from the Library and Archives Canada collection, as well as links to other websites and institutions. 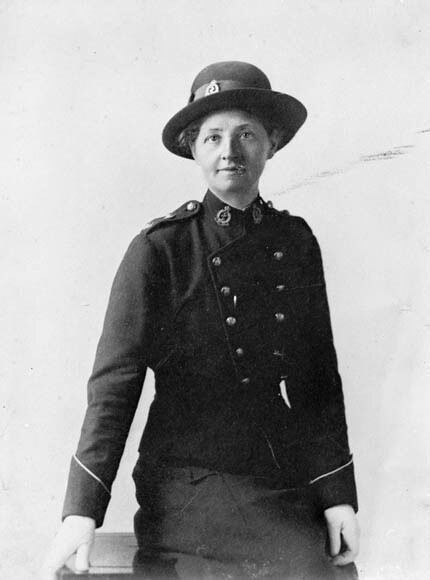 The incredible contribution of Canadian nursing sisters in the First World War can be best appreciated by examining their experiences during service. Women left their families and homes to answer the call to duty and serve their country. Their dedication to their work, to Canada and, most importantly, to their patients, serves to measure the profound effect they had on the Canadian war effort. Pat Staton’s It Was Their War Too: Canadian Women and World War I offers a more general perspective of their contribution to the war effort. In the archival collection, we are lucky to have the complete fonds for six of these nursing sisters, which allows us to delve deeper into what it was like for these women in the field. Learn more about Sophie Hoerner and Alice Isaacson who both served in France, or Dorothy Cotton who served in Russia. If that is not enough, you can learn about Anne E. Ross, Laura Gamble and Ruby Peterkin who all served in Greece. Looking for a specific nursing sister? 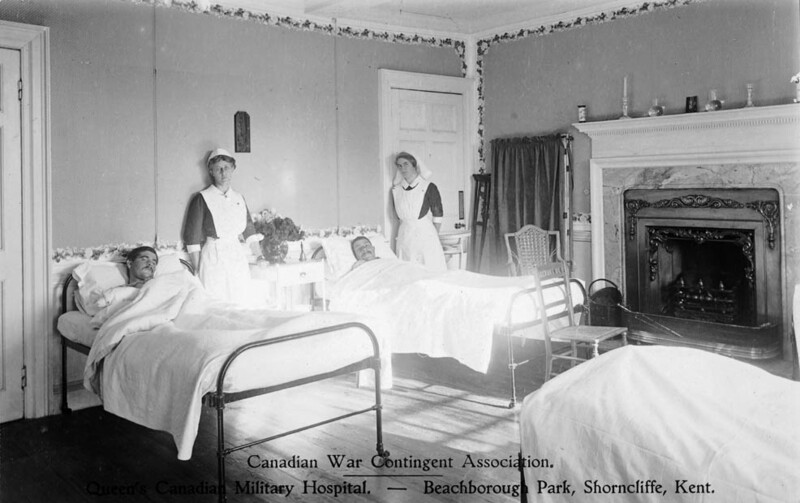 If you are looking for information about a nursing sister who served in the Canadian Expeditionary Force, you will likely find it in the database Soldiers of the First World War. Generally, nursing sisters can easily be identified by their rank, usually indicated by “NS”. It is also important to note that that many women served with the British Forces through the Victorian Order of Nurses or St. John Ambulance. Did your ancestors come from France? Do you want to know who your first French ancestor was and when he or she left France and arrived in Canada? Are you curious about your French origins? If so, our website is a great place to begin your research. Here you will find a page dedicated to genealogical research on the French. This page provides you with historical information, archival documents and published material from the Library and Archives Canada collection, as well as links to other websites and institutions. Library and Archives Canada holds a vast collection of census returns, from 1666 to 1916, in which you can find names of your French-Canadian ancestors. Did your ancestors come from Iceland? Do you want to know who your first Icelandic ancestor was and when he or she left Iceland and arrived in Canada? Are you curious about your Icelandic origins? If so, our website is a great place to begin your research. Here you will find a page dedicated to genealogical research on the Icelanders. This page provides you with historical information, archival documents and published material from the Library and Archives Canada collection, as well as links to other websites and institutions.